Central Croatia, also known as Croatia proper is the most important region in Croatia. It is full of historical sites, beautiful beaches, and so many interesting features that make it the perfect place to spend the holiday. 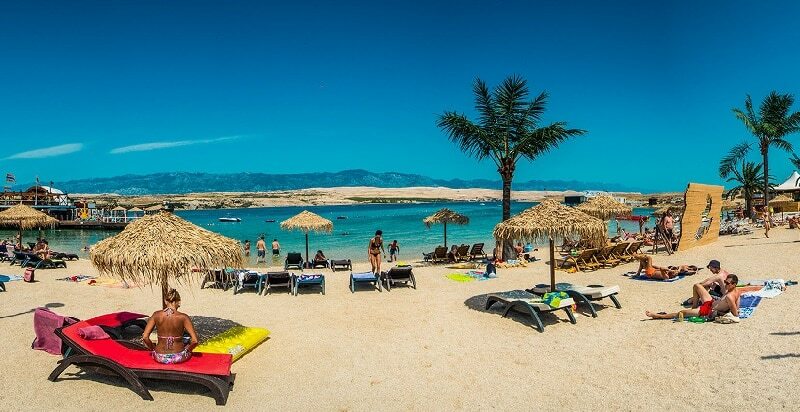 Here are some of the most beautiful beaches Central Croatia has to offer. You can find this beach in the Rab Island region. Tourists love to come here because of the clean water, natural environment, and the immense and generous hospitality. 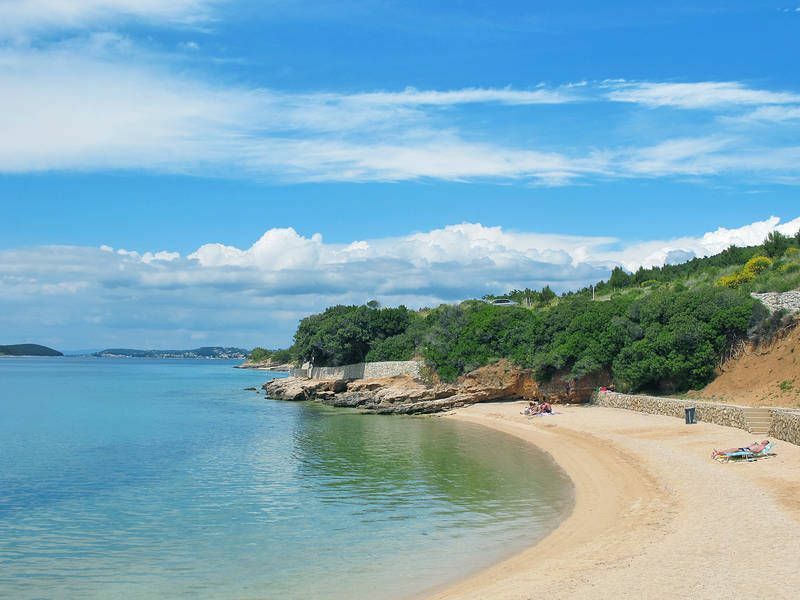 Pudarica Beach is not crowded, has a lovely sandy beach, and you can walk into the water even with the kids. There are also a couple of bars and restaurants serving delicious Croatian meals and cuisines no one can resist. Soft drinks, cold beer, hamburgers, French fries, and so many popular foods are also available for those who want them. Kolovare Beach is a city beach that provides everything you need to have a splendid holiday. It is located in Zadar – one of the most popular cities in the Adriatic Sea. Kolovare is a pebbly beach with paved areas; and pine forest, where people can find shelter during summer days. Beach facilities available here include an outside shower, public toilet, grocery store, beach bar, restaurant, fast food, pancake shop, etc. Guests have the opportunity to engage in a number of activities like volleyball, paddle boat, tennis, and jet ski. For the children, there is a playground or park they can stay and have the fun of their lives. 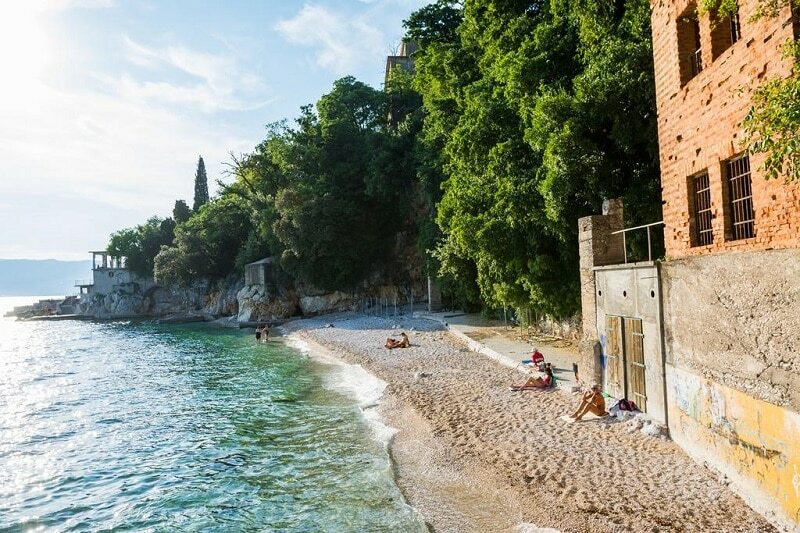 Located in the eastern part of the famous city of Rijeka, Sablicevo beach is one of the most popular in Central Croatia. Even though it’s not too big, it still provides all the attractions and interests that make any beach the perfect destination for a holiday. Sablicevo beach has brown sand, fine gravel, pebbles, and rocks. It’s a family beach where you’ll have access to infrastructures like parking, trash can, and city beach. There is also free shower and toilet facilities, and so many other facilities that you’ll definitely not find yourself wanting anything here. When you’re tired of the sea, you can go into the town of Rijeka and find any of the restaurants there. Places like Konoba Nebuloza, Restoran Na Susaku, and Yacht Club serve local foods and cuisine that includes seafood, as well as European and Mediterranean delicacies. If you want a quality cup of coffee, you can go to Kras Choco bar or Cacao restaurants. Here is another fabulous and wonderful beach to be. It’s a concrete plateau, rock, gravel, and sandy beach without any barriers. Guests enjoy this place because of the wonderful infrastructure put in place. You’ll enjoy localized bathing zone, coffeehouses, kiosks, showers, public toilets, changing rooms, and so on. For those coming in a car, free parking space is also nearby, so you don’t have to worry about walking a long distance before getting to the beach. The water is also very clear so you can jump in at any time to enjoy yourself. Many people also like to take part in different activities here including snorkeling, underwater diving, soccer, and tennis. Previous articleTop Things to Do in Madison, Wisconsin, and Tips for First Timers!